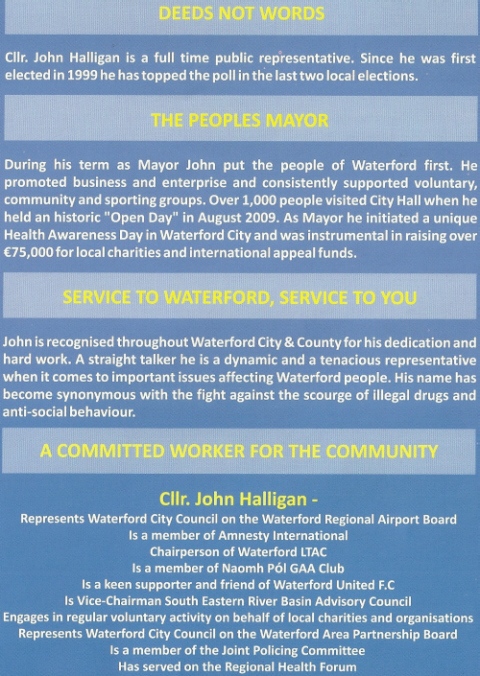 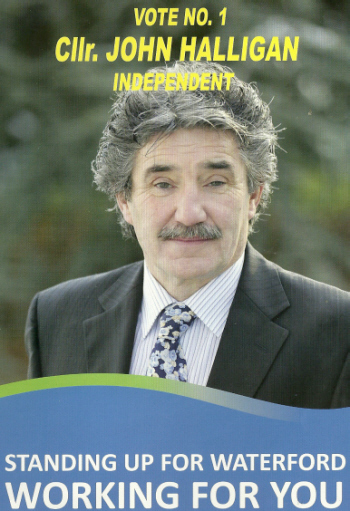 From the 2011 General Election in Waterford a leaflet for Independent candidate John Halligan. 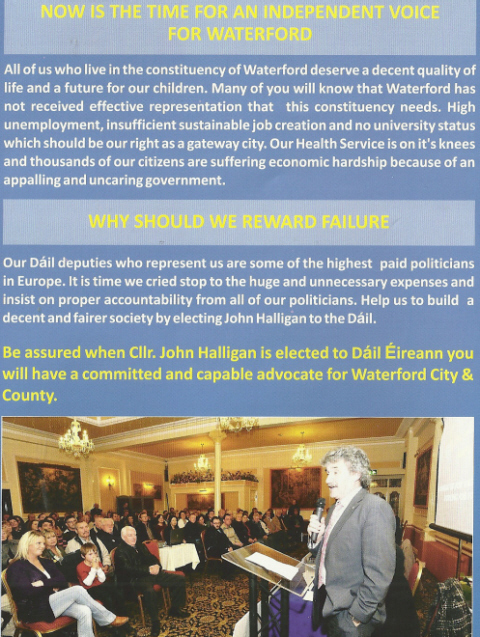 The Waterford City based Halligan won a seat. 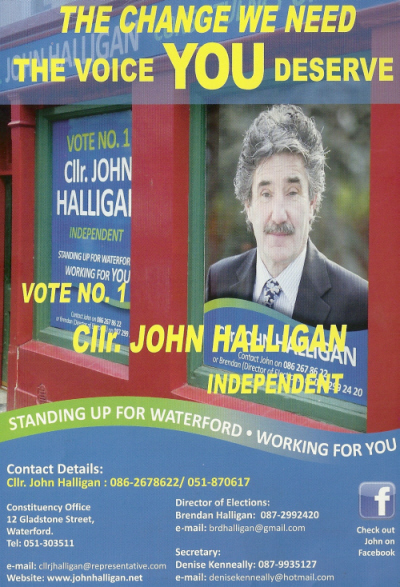 Formerly a councillor for The Workers Party , Halligan had a successful spell as mayor of Waterford.